Forget winter! While most of the northern hemisphere is shivering, come and find the sun on a guided bicycle tour around the far south-west corner of Europe. Portugal’s Algarve region is almost as far south as North Africa and can be a very pleasant place indeed to spend the winter months. 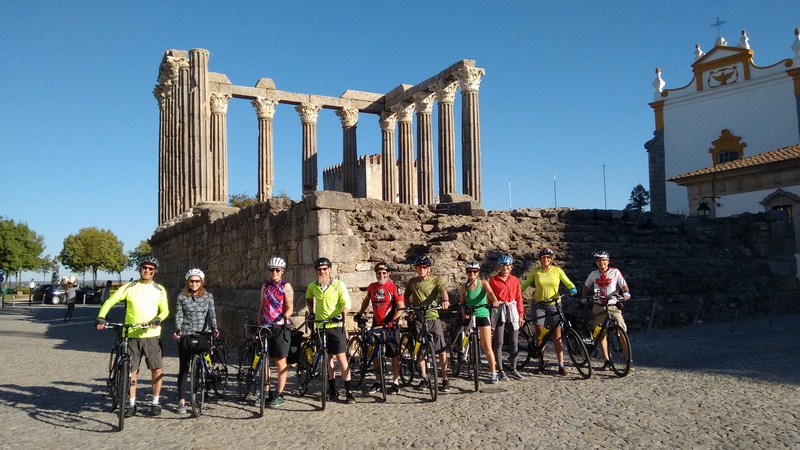 My wife and I will be leading small groups (maximum 10 people) on a ride taking in some of the countryside and gorgeous coastal scenery in the western Algarve, – plus a bit of the neighbouring Alentejo region. Starting on the coast at the historic river port of Tavira, we’ll guide you on a bike tour that includes both ancient towns, wild hill country and some simply stunning coastal scenery. Note: This is not our easiest tour as it involves a significant amount of climbing each day and some steep hill sections but we believe the views are well worth the amount of effort involved. The video clip below shows a (fairly gentle) section of road we use north of Odemira. Scroll down to read more and see pictures from our first two tours – which followed a similar route and took place in early 2016. You can also see what previous riders thought of this and other tours on our Reviews page. For further tour news and other information on biking in Portugal don’t forget to check out the Pedal Portugal Facebook page and blog. “What could be better than biking from small town to town…during the winter season? Beautiful beach after beach with not a soul around. Blue skies and warm temperatures…” Louise Day, Calgary. Quite simply, this is one of the best places to be in Europe if you want to escape the wintry weather further north. While there is the chance of a wet day (or two) and some chilly winds, it is also very likely you will get plenty of days of warm sunshine. 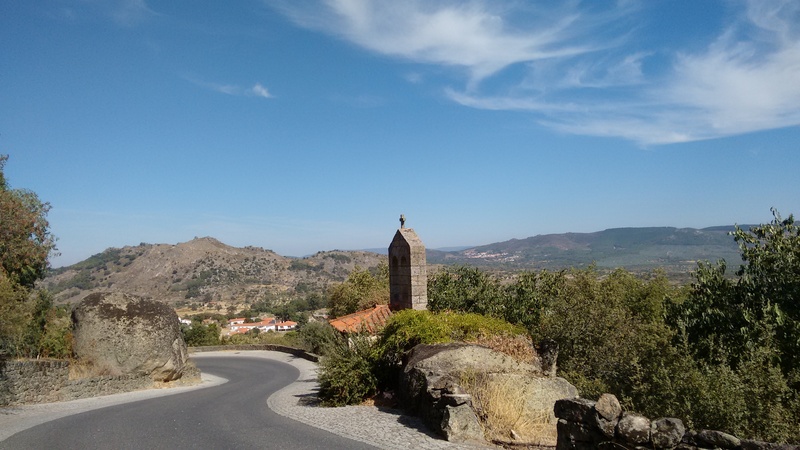 Based on several previous visits to the area at this time of year, the winter months (November to March) often provide an ideal opportunity for bicycling in the far south of Portugal, which offers some of the best winter riding anywhere in Europe. Note: We always take our time but this is a hilly tour and riders will need to be able to cope with the climbing and ride 50-60kms on consecutive days. From past experience, you can generally expect daytime temperatures of around 15-22°C (60-70°F), often making for very pleasant riding conditions. In late winter/early spring everything is normally looking green, with plenty of flowers in the hedgerows and fields – and less of the crowds that flock to the Algarve in the main tourist season. All pictures used on this page are from previous tours or are of roads/locations on the tour and taken in either January or February. “Huw and Carolyn went out of their way to look out for everybody and their standard of care for the riders was exceptional. 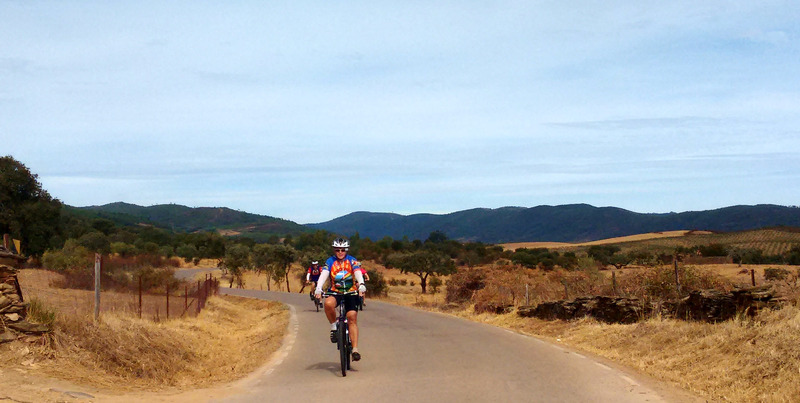 Nothing was too much trouble…I thoroughly recommend Pedal Portugal.” Jim Bolger, Manchester. The tour takes in some of the best scenery and most interesting places to visit in the western Algarve and south-west Alentejo – including quieter spots and beaches off the main tourist trail. We will visit ancient towns, rural villages, wild beaches, dramatic cliffs, rugged hills and picture-postcard coves. 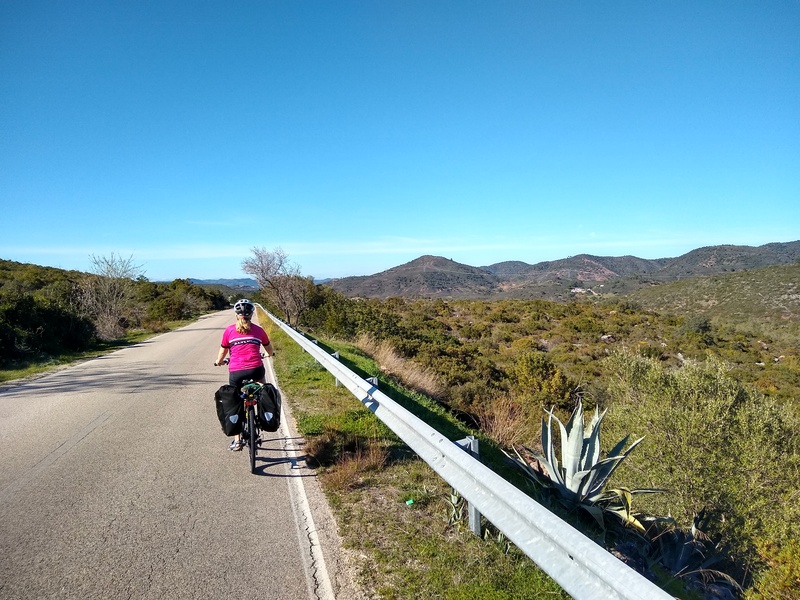 Our route is a revised and expanded version of our original Algarve Winter Tour – the first biking trip run by Pedal Portugal. Part of the route also overlaps with that outlined in my book ‘Cycling The Algarve‘ (published July 2015). Although not car-free, as much as possible of the route is on quiet roads where traffic is light. We also cross the border into the neighbouring Alentejo region in order to see a bit more of the stunning Atlantic coast and protected landscape of the Southwest Alentejo and Vicentine Natural Park. There will be a couple of rest days during the tour – plus options for additional rides. Day Eight – enjoy a rest day at Vila Nova and a walk on the beach. *Please note: the exact itinerary and distances may change depending on accommodation availability and other factors. The tour costs from €1,420 per rider – which works out at about £1,268 or $1,750 US at current exchange rates (February 2018). ***Transport & transfers: We can pick-up riders from Faro on Day One and offer a return transfer on Day Twelve if required. We can also advise on bus and/or rail travel for any riders travelling on other days or from/to different destinations. Wherever possible, if anyone is unable to ride we will try to take them in the support vehicle. However, the support vehicle is not intended for taking passengers. If essential, we can make arrangements with a taxi or bus but any individual costs will be additional. 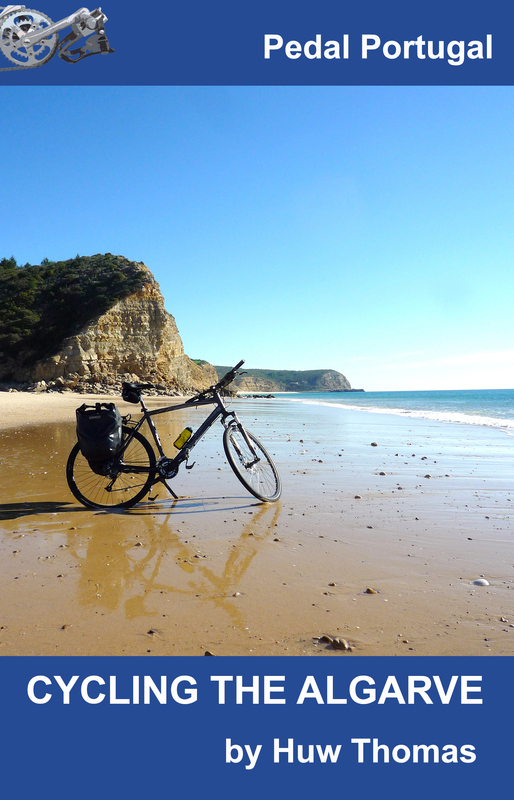 For cycle hire we work with Cycling Rentals, a long-established company based near Lisbon which can deliver anywhere in Portugal. For this tour in particular we strongly recommend the company’s hybrid-style suspension touring bikes, which have disc brakes and very low gearing for steeper sections. The 2019 prices for this tour are €195 for a suspension touring bike and €200 for a road touring bike, including delivery and collection (not including any accessories). For more details, see bike hire page. Read what previous riders thought on our reviews page (scroll down to find comments specifically on this tour). 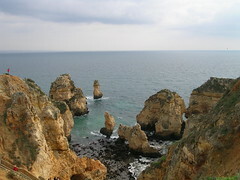 You can also continue to the bottom of this page for more pictures from previous Algarve trips.